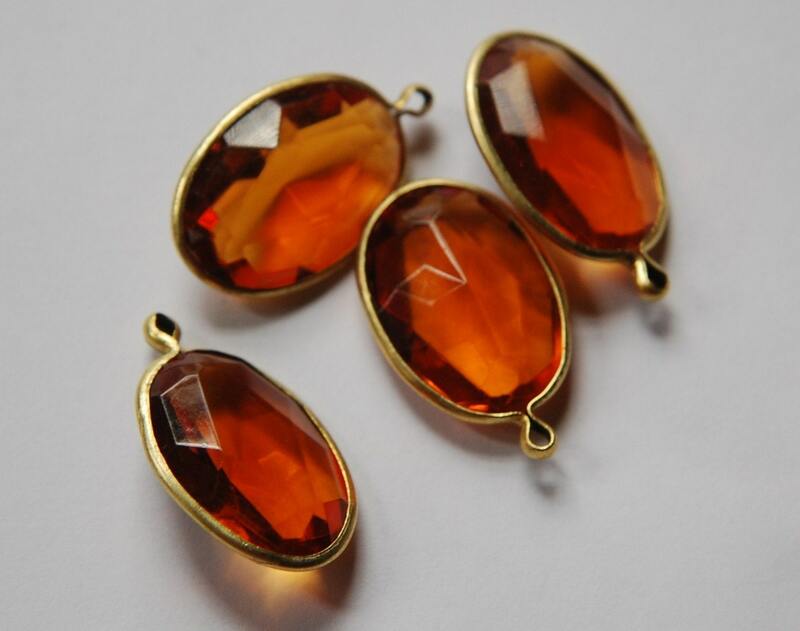 These are vintage acrylic drops that have a brass channel frame. These are faceted pieces. These have 1 loop. They measure 32mm with loop x 18mm. You will receive 4 of these. Beautiful! Great quality and fast shipping. Thank You, everything is gorgeous! And thank You for the gifts!! !